The president of South Sudan says attacks by the North amount to a declaration of war on his country. Khartoum and Juba, which became independent last year, remain embroiled in a conflict over sharing oil profits and establishing frontiers. 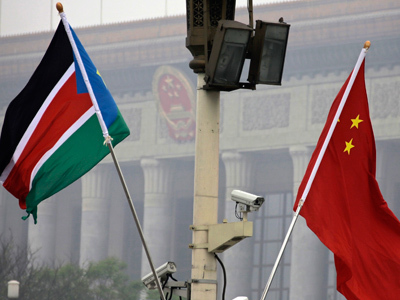 The president of newly independent South Sudan who's on a visit to Beijing has told China's president that attacks by rival Sudan amount to a declaration of war on his country. Salva Kiir has meet Hu Jintao while lobbying for economic and diplomatic support. Earlier on Tuesday the official spokesman for the South's army Philip Aguer also announced that Sudan has effectively declared war. Auger’s statement came after suspected bombing of his country’s territory by the North. Southern authorities and witnesses say Khartoum’s planes bombed the city of Bentiu and nearby oil fields on Tuesday. The North denounced the claims, saying this could be a provocation by Juba. 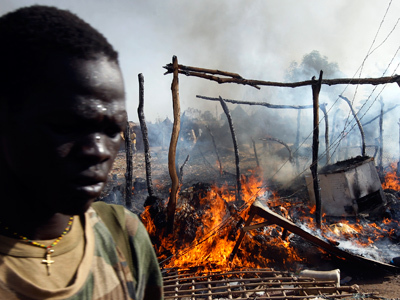 On Monday, Sudanese warplanes have bombed a major town in South Sudan, killing two and wounding at least 10 more people. 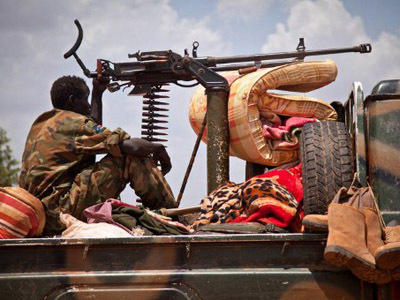 South Sudanese troops fired back as the threat of full-scale war between the two nations loomed. The attack came just days after South Sudan announced it was withdrawing its troops from the disputed town of Heglig to avoid an all-out war with Sudan. 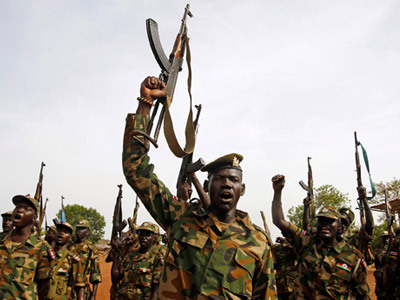 Sudan and South Sudan are engaged in a new wave of hostilities at the moment over oil fields. The violence reignited last week, after the South invaded the disputed Heglig oil field in the border region. The Heglig is vital to Sudan’s economy as it accounted for half the 115,000 barrels per day output that remained in its control when South Sudan seceded in July and Khartoum lost 75 per cent of the country’s oil production. Fighting over oil transit payments and disputed territory has already withered the combined crude output of both countries, which are highly dependent on oil. Any protracted fighting would severely damage their economies and may disrupt the surrounding region. Chinese money to 'settle' Sudanese oil divorce?